While I look forward to many aspects of summer, one of the best is spending time in Rhode Island near the beach and re-establishing myself as a member of an amazing yoga community. Practicing yoga has a great correlation to my writing quality and productivity, and yesterday while in class (even though I do know that I’m not supposed to drift into other thoughts) I thought about what the instructor said about the practice of yoga and how it relates to the lives of writers. Here are some of the connections. 1. The pleasure is in the process and not the product. This statement reminded me of the mantra to teach the writer and not the writing. As teachers of writing, and of writers ourselves, we have to trust in the truth that we improve by doing, even when sometimes the doing isn’t all that good. If we are constantly looking to create or have others create that perfect piece, it isn’t going to happen. Instead, everyone will be frustrated. 2. Find clarity in the spaces. Sometimes, when I write, the blank page is scary. Just getting started takes so much courage. Then, once there are lines on the pages, they invite me back in, beckoning me to continue the work, to talk back to the work. I’ve gotten much better at purposefully leaving space on pages, so that I can return to a piece I’ve written, reacting, expanding, responding, reflecting, or even using it as a place to jump off into another whole somewhat related topic. 3. The practice, the same position, looks different on different days. Lisa pointed out to one of the men in the class that he experiments with slightly different variations of the same pose, depending on the day. I loved this statement as a writer, thinking about it in terms of writing and not just yoga. 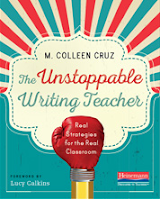 Writing is a practice, and the craft moves, genres, exercises, prompts, struggles, and celebrations are all part of the correlating poses. 4. Be brave and push yourself right to the edge of your comfort zone. 5. Be aware of when a pose makes you panic and when it bores you. The optimal place to be is right in the middle. Isn’t that also the equivalent of our Zones of Proximal Development? What if we substitute the concept of new learning? Be aware of when the learning/teaching panics and when it bores, and be sure to be in the balancing spot between those two places. IT sounds a little crazy, but the one of the most exciting parts of yoga is doing a pose that has been hard, even though the wobbling and shakiness is a little scary. When I mentioned this to my sister-in-law who I go with, she made the connection between academic risks and yoga risks right away. “It just has to be exactly the right amount of scary, and then it’s incredibly exciting,” she commented. So, there are some of my post-yoga reflections. I’m sure that there are more of them! Feel free to add on. Each year, I attend the Book Expo when it is in NYC and am always so excited to read upcoming new titles! I was especially excited to get my hands on a copy of Crenshaw by Katherine Applegate and knew that would be my first read from the stack of books because she is an amazing author. 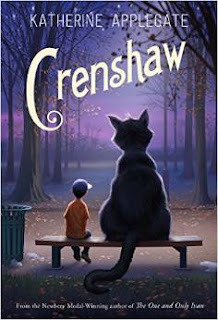 Crenshaw was an amazing read and full of imagination, social issues, relationships, and important life lessons. The main character, Jackson, is going into 5th grade and he has been faced with tough family situations including his dad being diagnosed with MS, his parents losing their full time jobs, living in a mini-van, being evicted from homes, and being faced with the unknown at such a young age. 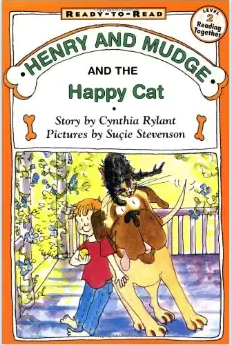 He has the help of his imaginary friend, Crenshaw the cat, to help him through some of these challenging life situations. Crenshaw appears when he senses he is needed and even though Jackson might not think he needs him, he does. I have been participating in a district think tank about assessment over the last couple of months. Today, we had a six hour meeting to try to develop a brochure that communicates, articulates, and condenses our beliefs about balanced assessment. Integrating the work of other institutions and districts, I love the concept of balancing growth and achievement, and the other elementary educators and I developed bullets to support this concept, crafting statements about balanced assessment. Our bullets align to my beliefs about assessment--that we assess for three basic reasons: to make instructional decisions, to determine whether students have learned the objectives, and to hold ourselves (and be held) accountable for student achievement. And yet, the experience that I had with my own daughters who are high school students are gnawing at me as I reflect on the work and the thinking that we did today. Conceptually, I believe that assessment is a cornerstone to education, right there along with curriculum and instruction in a rock solid triangle. And, I believe that great assessment leads to great learning, driving instructional decisions and curriculum development/revision. But what about college? Assessment also creates GPAs. At any college admission information presentation, the presenter talks about the rigor and the overall performance as important factors in potential acceptance. How do we get around the fact that assessments create GPAs, and in competitive high schools, GPAs are important components of college applications? Do we count formative assessments into GPAs? Within our conference room of teacher leaders, we did not have consensus. Some teachers do count formative assessment, while others use it only to provide information to students about how they are doing. If they don't average formative assessment into reported grades, should students who reach targets more quickly receive higher grades? Do high quality assessment practices lend themselves to 100 point grading scales, or should we be thinking about reporting meeting and not meeting standards? But then, how would that serve students as they apply to highly selective colleges and universities? I was so proud of the work we accomplished this morning--of the clarity of our bullets that explain balanced assessment. However, the complexities and questions that surround assessment overwhelm me as I think about communicating these ideas and visions to the rest of the community. The more I think about it, the more questions I have. Oh dear. 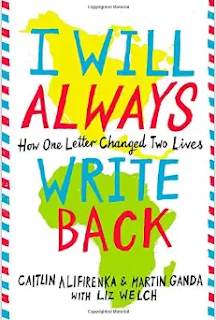 I am grateful to Tara Smith for sharing the amazing story of Caitlin Aliferenka and Martin Ganda as written in I Will Always Write Back by the two of them with the assistance of Liz Welch. When Caitlin was in middle school, she had a teacher encourage students to form pen pal relationships with other students around the world. Caitlin and Martin began writing to each other, Caitlin from Pennsylvania and Martin from Zimbabwe. The book documents the letters and adventures over the next several years, chronicling historical events and unfolding the events that led to incredible life changes for both of them. Caitlin and the readers of this book learn what a difference the money we spend on a cup of coffee can make in the lives of other people in the world, and the realizations are especially powerful because the perspectives shift from Caitlin to Martin in alternating chapters. Sometimes books touch your heart in ways that you don't expect, and I found myself tearing up in many sections of I Will Always Write Back. The messages of empathy, empowerment, humanity, and kindness overwhelmed me throughout the pages, as Caitlin was so profoundly generous and wise beyond her years, while Martin was so determined, grateful, and disciplined beyond his years. Middle school students will be inspired to reach out to other cultures in meaningful ways after reading this--I can't wait to share it with my sixth-grade teachers and hear about ways they can envision sharing this story with their students. But additionally, they will have a powerful springboard to discuss the meaning of grit, growth mindset, and goal-setting, as well as privilege and responsibility. Thank you, Tara, and for the rest of you--don't miss I Will Always Write Back. Over the summer, I will be working on our first-grade nonfiction writing unit. One of the requests from teachers was to have some titles of mentor texts with interesting introductions and conclusions. I spent time in the library and with our media specialist collecting some titles with a variety of beginnings and endings. 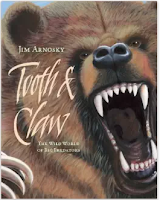 Tooth and Claw by Jim Arnosky is a book that could me a mentor text in upper grades. 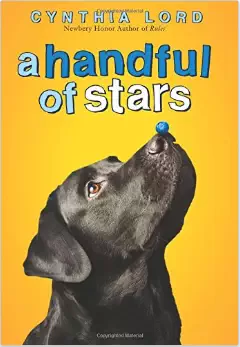 It is full of linguistic craft moves--images, figurative language, varied sentence structure, comparisons--but the introduction is an example of an anecdote. Jim Arnosky tells the story of how a tiger let a little boy pass by, giving him luck. An easier way for students to begin information books, especially when they are writing about animals is with a chronological beginning. 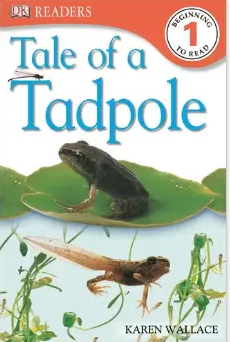 Tale of a Tadpole by Karen Wallace is an excellent example of this strategy. 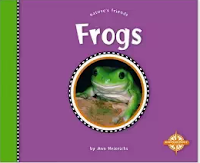 Written at a low enough lexile level for many first-graders, this book begins with "The tale of a tadpole begins in the pond." Predictably, it ends when the tadpole becomes a frog. Frogs: Nature's Friends by Ann Heinrich would be a great pairing with the Tale of a Tadpole, and it begins with a frog noise and a splash into the pond. This is a great mentor text for beginning with a sound hook. I have to say that even the cover of Snakes by Melissa Stewart could lead to some interesting observations. 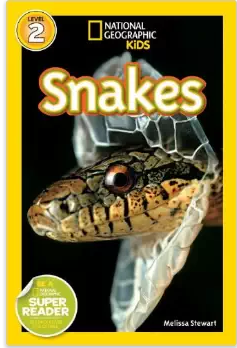 At first glance, I thought the cover was scary and that the mouth of the snake was wide open, but then I realized that it was a picture of the snake's skin shedding. As a mentor text for interesting beginnings, this book hooks readers with a series of questions written in rhyme. 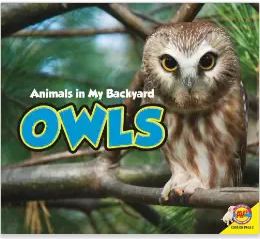 Owls by Aaron Carr begins with the simple sentence "Meet the owl." It then goes on to talk to readers hypothetically throughout the text, as if they might meet an owl. I could see young information writers being able to emulate this style, developing their voice and sentence structure. 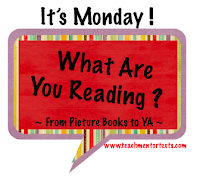 I love prowling low lexile nonfiction texts for examples of unusual beginnings and endings. An earlier post that I wrote when I was working with third-grade teachers is linked here, featuring a collection of books and creative ways to end information books. 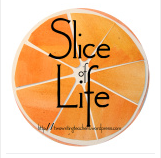 If you have any favorite mentors for nonfiction beginnings and endings, please share!